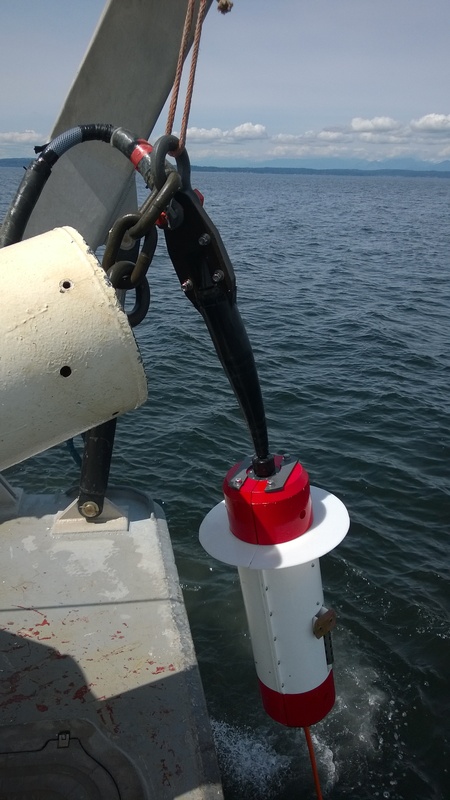 The Prawler device, which is attached to the mooring line, uses wave-powered energy to crawl up the line, taking temperature/salinity measurements along the way. 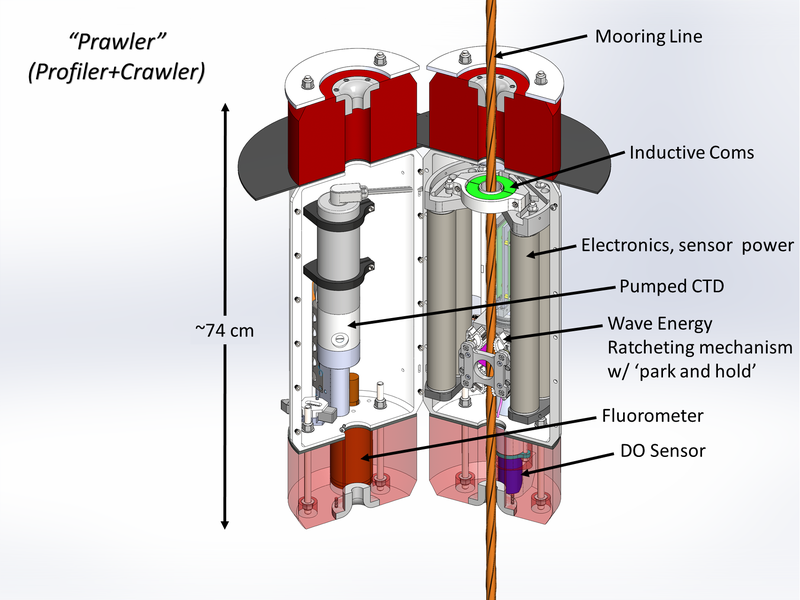 The Prawler (Profiler + Crawler) enables CTD profiling using Wave Energy from a surface mooring, and is a step towards next-generation Tropical Moored Buoys. 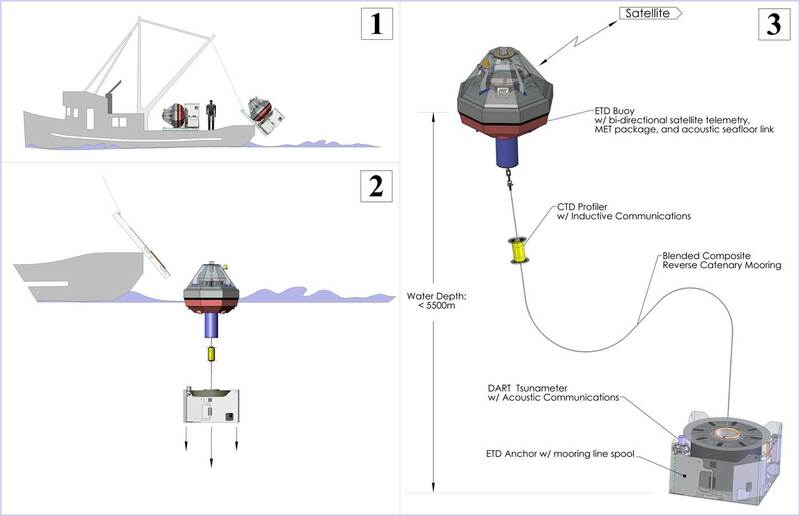 The schematic diagram below shows the concept of operations for the Prawler on an Easy-to-Deploy Mooring.